In fact, the latest available statistics show that over 10% of the U.S. population reports difficulty hearing! That's more than 31 million people! And as the Baby Boomer generation continues to age, that number promises to increase dramatically! Hearing loss is described by varying degrees, not percentages. Hearing loss may be mild, moderate, moderately-severe, severe or profound and vary across pitches. 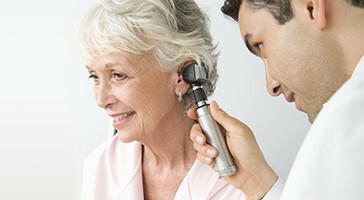 It is determined by a simple hearing test as the amount of volume loss you experience compared to an average of many other adult listeners with normal auditory systems.The volume, or intensity, of sounds you hear is measured in decibels (dB), 0 dB being the softest whisper and 120 dB being a jet engine. The softest sounds one can hear are called thresholds.Normal hearing thresholds for adults are considered 0 to 25 dB. If you or your loved one are experiencing a hearing loss, call (406) 586-0914 today to book an appointment for a hearing evaluation!